When this prompt was devised I am sure that what I am going to mention wasn’t perhaps thought of, so I have taken a different spin on things today. We associate books with the printed word. A way of sharing information, knowledge or quite simply a story that acts as a chill out factor. Being an historian I think that in addition to the printed word we can learn a lot from an image. An image can capture the imagination, prompt a chain of thought reactions and lead us on path of discovery. We each capture with our eyes many thousands of images each day. Our eyes are our biological camera. They capture the detail that we recognise and identify with and also capture things that we do not necessarily focus on or identify with, perhaps ever or immediately. 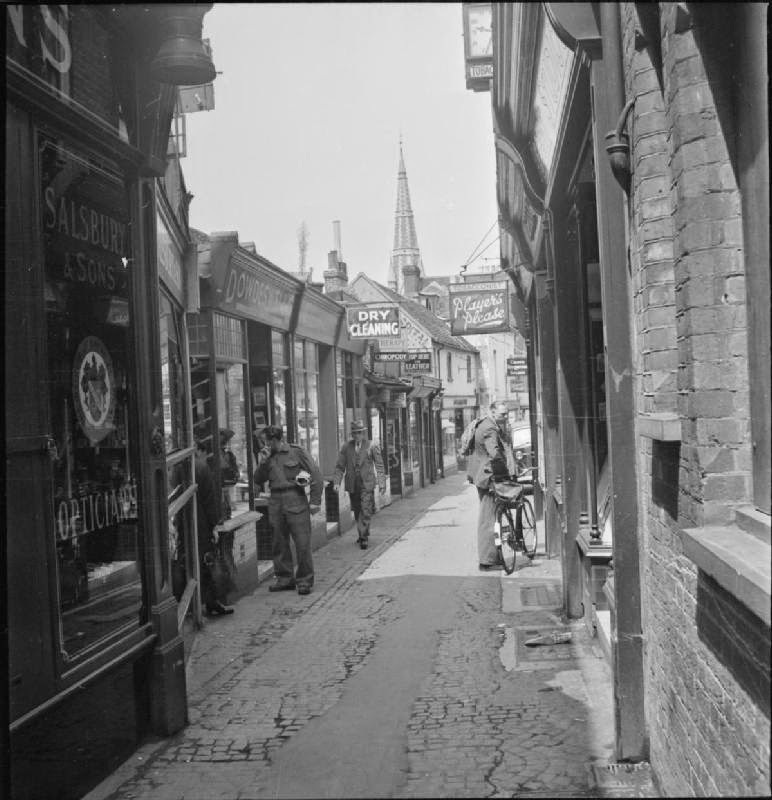 Over the last twenty years or so I have collected postcards and images that relate to my home town of Guildford in Surrey. A large town that is located 30 miles south of London. The only location to have a Cathedral built in the twentieth century. I have collated and shared many of those images via a website and will at some point in the future do more with those images. The pictures and postcards track events, history and locations and pretty much everywhere in the world has an image captured that brings alive a location. Many of the local history publishers have released books that relate to what I have just talked about. Images of (insert any place you would like to). The general rule of thumb is a picture or historical image and some text about the location. Some books go a small step further and present a then and now set of images of a location. Children’s books are typically introduced to children at a very young age, first cloth books then progressing to hardback or paperback books. Each of those shares perhaps a story illustrated by pictures. The picture becomes the prime focus to keep the attention of the child and the writing has less feature. As the child gets older the focus on the picture reduces and is replaced by words which represents the educational journey of the child. An image captures the imagination. It automatically sets the wheels of thought moving and whether that thought process is a fictional story, or tells an historical journey or setting will depend on the image, the personal viewing and the reason why it was viewed in the first place. The image is a lovely one. I would it dates from circa 1940 because there is a service man on the left of the picture. The building on the left is Salsbury’s the jewellers, which was the location that my Grandfather purchased my Grandmother’s engagement and eternity rings. The cobblestone street is a reminder of the period of time before cars, and is like (or at least in the 1940’s) the cobbled High Street. Cobbled because of the horses. The chap with his bicycle looking in the paper shop window on the right. I can tell that because there is a sign above saying Players which were a cigarette brand. The church spire in the background is St Saviours Church which was (and still is) located on Woodbridge Road. When I was a child there was a toy shop called Dolls Hospital located where the dry cleaning shop is. Such wonderful memories all prompted from a picture; absolutely more than just words. This entry was posted in Uncategorized and tagged Armchair BEA. Bookmark the permalink.